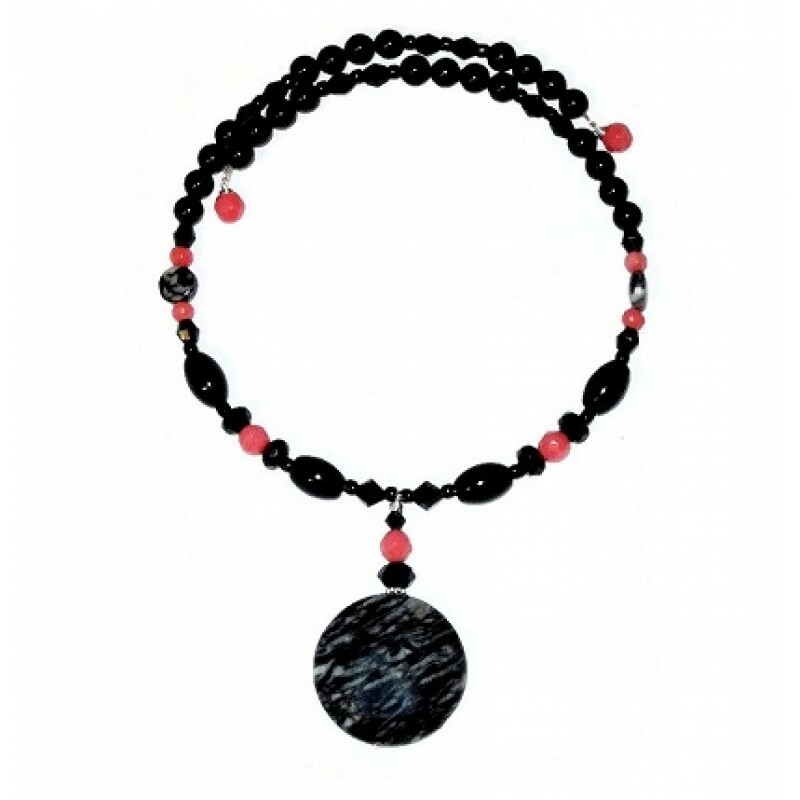 This one-of-a-kind expandable choker features a jasper pendant that is accented with faceted coral bamboo, black onyx, Swarovski crystals, czech glass, jade and coin-shaped jasper beads. These one-of-a-kind earrings which feature grey jasper with black striped beads in the center ..
Look chic in this grey bracelet. It contains 12mm faceted round quartz beads that are accented.. This fancy black beaded bracelet consists of Swarovski crystals onyx and czech glass beads. It..
Look and feel stylish with this black, coral and gray beaded bracelet that features a jasper bead in..
Look classy as you enter the room with these semi-precious dangle earrings. They contain black..